Dancers in Staffordshire are to become among the first in the UK to experience a new dance fitness craze which has been a huge hit in Australia. Kate Beauchamp, owner of the Groove Academy is among just a handful of UK dance teachers who are trained and licensed to run TAPfit classes. TAPfit has been patented by four Australian sisters and is a high intensity blend of tap dancing and fitness exercises. 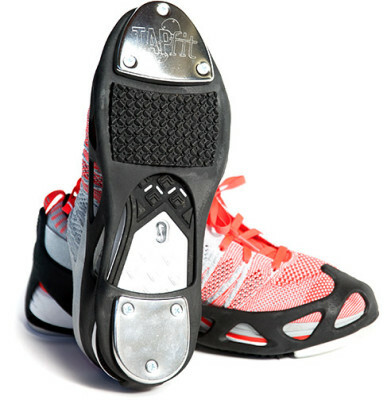 Dancers wear unique TAPfit attachments which fit over training shoes and are fitted with metal plates to create the tap dancing experience. Dancers workout on special bamboo mats and use a rubber resistance band to add an upper body workout. “I have invested in buying the rights to run TAPfit and the special equipment because it offers an incredibly effective holistic workout.” Said Kate. The tap shoe inserts are exclusive to TAPfit and I have had to have them imported from Australia. The Groove Academy plans to roll out TAPfit classes across a range of venues including St Dominic’s Social Hall, Stone, Acton Trussell Village Hall, Great Bridgeford village hall and the Groove Academy headquarters at the Northfield Centre, Stafford. Added Kate: “TAPfit is both fun and a great workout. You don’t have to have tap danced previously to get involved and we teach styles such as Street, Broadway, Classic and Latin. The Groove Academy will offer free half hour taster sessions during the launch of TAPfit and this will be followed by classes lasting 45 minutes. See www.grooveacademy.co.uk for details.